The very clear thing here is that your budget is Rs. 40,000 and you are looking to build A Gaming PC which can run new games at decent frame rates. But It’s not that is easy to build a gaming PC under this Budget but don’t worry we will help to get the best out of your money. In case your budget is even less than 40K then hey nothing to worry we also have a great article on Gaming PC under Rs. 30,000 So, you can check that out. Making a gaming PC which can handle all the latest Games Like Call of Duty, Grand Theft Auto V, Watch Dog 2 and more at full graphics with minimum 40-50FPS in the Budget of Rs.40000 is not that easy. 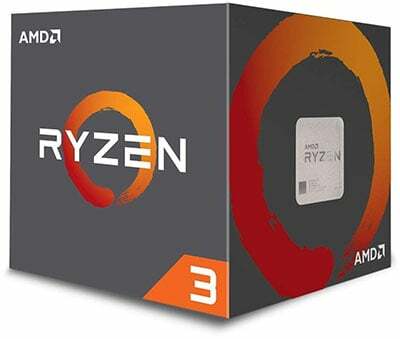 So, the processor I choose for this build is AMD Ryzen 3 1200 which is a Quad Core Processor clocked at 3.4Ghz and consume 65W power which is more than enough for your gaming needs as per the budget. After processor the most important part of any PC build and for this build I choose a motherboard from Asus which is known for their quality in budget price name called Asus Prime A320M-A. 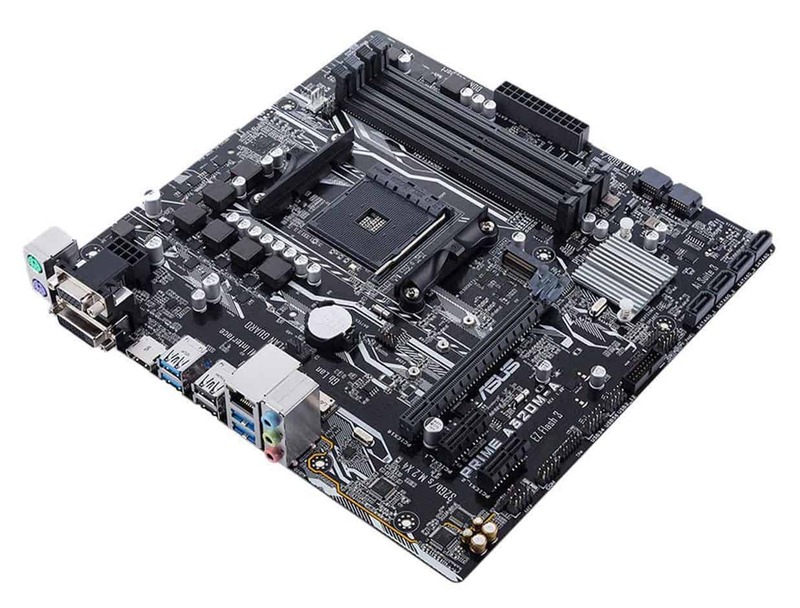 This motherboard has a lot of ports and options like it support latest M2.0 SSD, USB 3.1 and up to 64GB DDR4 RAM. This is the best option in this price range as per my opinion and highly rated on Amazon by thousand of buyers too. RAM is most underrated hardware we on any pc build because we don’t think much but RAM is really important because everything you run on your PC requires temporary memory. As fast your memory is your PC will respond as quick. 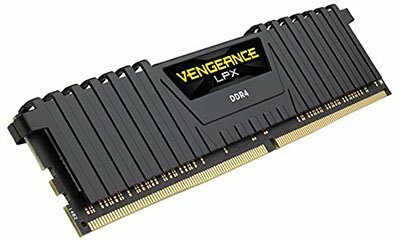 So, for this Build I choose is Corsair Vengeance 8GB DDR4 (3000MHz) RAM which cost under Rs. 5000 and offer the best value for your money. Here is the thing a lot of buyers think that if you want good gaming experience you need a good graphics card and graphics card only used for playing gaming. Yes, you need a good graphics card for playing gaming but graphics card does a lot more then this It increases the overall performance of your PC. If you don’t have GPU in your PC then processor have to take care of all the things like performance and display contents as well which slow down your pc performance if you have GPU inside your PC then GPU will take care of all the graphics content to display all the things on your screen and Processor will handle all the performance part this will make your PC a Better performing PC. So our choice of Graphics card is Zotac GTX 1050 Ti mini 4GB Edition now if you guys looking to go for Dual fan GTX 1050 Ti its completely your choice but it just increase your budget but there is no performance difference. If you want a faster PC then you must need faster storage the most popular storage option in 2019 is M2.0 SSD which is fast and small but it’s expensive and less storage. 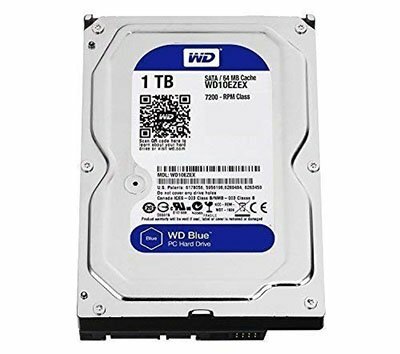 So, I suggest you just buy 128GB SSD for your Operating system and store all your other data in Hard Disk Drive which is a lot more cheaper and offer a ton of storage. 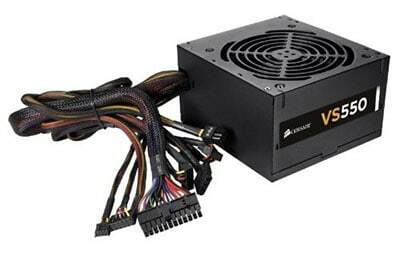 If you want a stable pc then power supply unit is most important because if PSU is not able to power all the parts of your PC then you saw some restarts under heavy load which we don’t want So, for this build we choose 550W Power Supply Unit from Corsair. That’s completely your choice you can buy any cabinet you like but I suggest you buy a solid cabinet like Corsair Carbide CC or you can go for something fancy like Circle Elegantor Gaming ATX Tower Case both cost under Rs. 3000. I Know Build Cost 41,248 But that OK if you just Spend 1200 more on this build it will never let you down even for 2-3 years. But if you want a complete setup with monitor and all accessories then check our Gaming PC Build under 30,000 and buy a good gaming monitor under 10,000 and other accessories like mouse and keyboard cost around Rs. 1200. So, I hope you guys like this article if yes then don’t forget to share it with your friends and family on facebook and twitter. But in case you don’t then let us know in the comments section below we’ll love to know your feedback and try to improve it. Thanks for every another excellent post. Don’t you think the Pentium G4560 is a better deal than the outdated AMD processor? It’s much cheaper too. I want to build a stable, durable PC without monitor and graphics card. For programming, development and running few games sometimes. So I am unable to decide whether i should buy Gfx card or not. Pl help. If you are Developer simply you don’t need graphics card but if you add decent GPU to your PC it will enhance overall graphics quality of your PC and if you will get bored while developing software you can also enjoy some games too 🙂 So, It’s good to add a graphic Card.